As Europe’s largest medieval square, Rynek Głowny is an atmospheric place to start your trip and get your bearings. 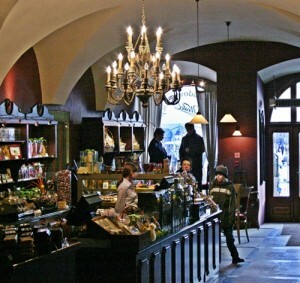 Try Obwarzanki, a doughy pretzel snack sold across Krakow, and make sure you track down the Wedel shop on the north of the square. It has the air of an aristocratic teahouse but serves the best hot chocolate, with the strongest flavour. 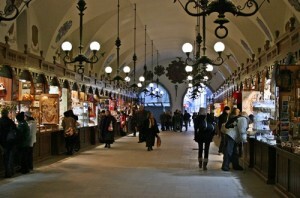 Krakow’s Cloth Market has been trading throughout the city’s tumultuous history for over 600 years. Today, the covered hall specialises in jewellery, wooden crafts and souvenirs. Perched on a hilltop and complete with its legend about a virgin-eating dragon, Wawel castle has a large collection of furniture, portraits and tapestries. A stroll through the park that surrounds the University is a nice way to get a feel for Krakow’s centuries of study and learning. Former students include Copernicus, the first man to suggest that the Earth revolves around the sun. Kazimierz was the home of a thriving Jewish community until World War II, when the Nazis drove Jews from their homes. Today it’s undergoing something of a renaissance, with cafés, music and bars. Visit the modern Galicia Jewish Museum to understand more about its terrible past. Across the Wisła river, this district was the site of the Jewish ghetto featured in Schindler’s List. Schindler’s factory remains, as do fragments of the ghetto walls. The small Museum of National Remembrance gives a sobering and poignant portrait of the atrocities committed here. Several concerts take place within walking distance of Rynek Głowny, including classical Chopin, traditional Jewish music and Polish folk music in costume. 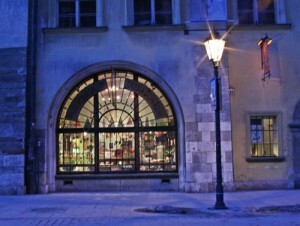 Find up to date listings from any one of the tourist offices in the streets north of Rynek Głowny. Krakow has plenty of posters for the Wieliczka Salt Mines and the Auschwitz death camps. I would recommend visiting both, but it is difficult to fit them into a weekend trip. A return visit to the Salt Mines takes between four and five hours, while a visit to Auschwitz & Birkenau takes around six hours. Auschwitz can be a disturbing, distressing experience and it’s not wise to tack it onto a trip without thinking. To read more about my feelings on the subject, read A Cold and Lonely Path: Into Auschwitz. With spirit and enthusiasm, you can walk between everything mentioned here (except for the out of town excursions.) If weariness sets in, use one of the many trams that shuttle around the city. Buy tickets from the machines next to the tram stops . Tickets are cheap (around 2 – 3 zloty) and need to be time-stamped when you board the tram (watch the locals for how to do this.) Tram maps are (fairly) easy to decipher and are printed on the main tram stops. There are plenty of things to do in Krakow – Enjoy! This is a great write-up! 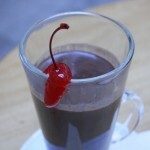 I will be going here in May and blogging about it and will definitely be trying that hot chocolate! Have a great time. There are certainly plenty of museums there – and the hot chocolate menu goes on for pages and pages! Let us know how you got on when you get back! 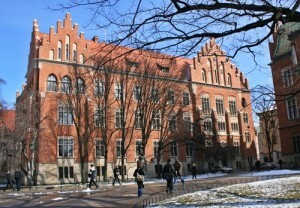 I invite you warmly to the Aparthotel Spatz Miodowa 11th Street.